But I'm not what I used to be. I've learned how to keep going. Coach Don Meyer and Northern State University of created an on-line Coaching Academy. With 923 wins, Don Meyer is one of the most successful coaches in NCAA men’s basketball. Neither a near-fatal car accident - which claimed most of a leg - nor a diagnosis of inoperable cancer could keep him away from the game he loves. 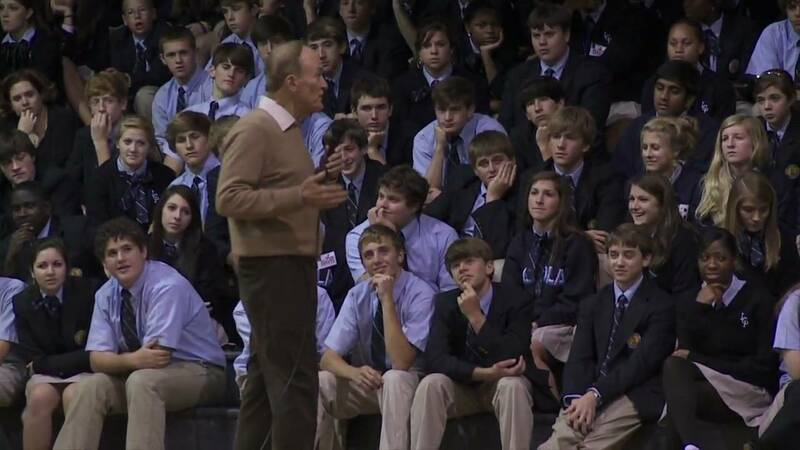 Don’t miss his inspirational story and lessons of leadership both on and off the court. For more information, call 1-855-678-3983, email online@northern.edu or visit Northern's Online & Continuing Education page. Saban's guiding vision is something he calls "the process," a philosophy that emphasizes preparation and hard work over consideration of outcomes or results. Barrett Jones, an offensive lineman on all three of Saban's national championship teams at Alabama and now a rookie with the St. Louis Rams, explains the process this way: "It's not what you do, it's how you do it." 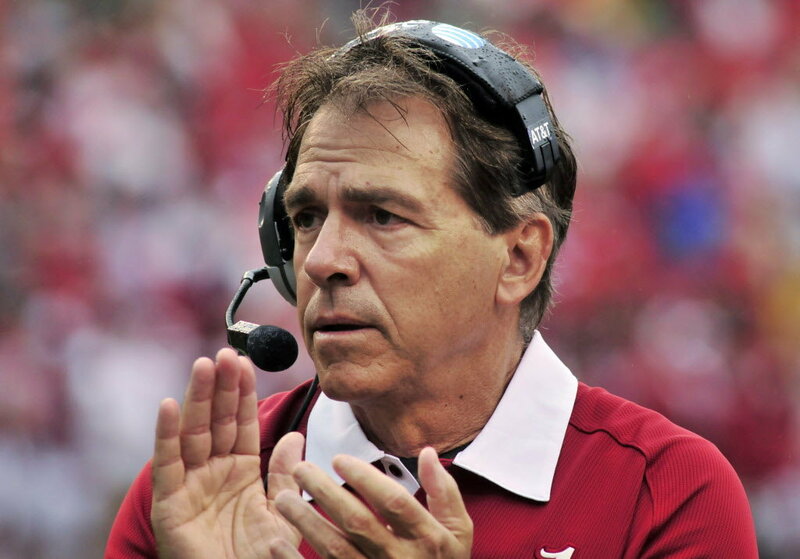 Taken to an extreme—which is where Saban takes it—the process has evolved into an exhausting quest to improve, to attain the ideal of "right is never wrong." At Alabama, Saban obsesses over every aspect of preparation, from how the players dress at practice—no hats, earrings, or tank tops are allowed in the football facility—to how they hold their upper bodies when they run sprints. "When you're running and you're exhausted you really want to bend over," Jones says. "They won't let you. 'You must resist the human need to bend over!'" Sometimes players learn about Saban's arcane preparation only when they encounter the external factor it is intended to control. During a lightning delay in the second quarter of the 2012 Alabama-Missouri game, Tide players jogged back to their locker room to find dry shoes, chairs arranged by position, and coaches ready with teaching material to keep them occupied during the break. A coach might go his entire career without experiencing a weather delay, but Saban was ready. His players dubbed it "the lightning audible." Jones says that while all the talk of "the process" can sometimes seem mysterious—the cultic manifesto of that demonic head coach—it's actually quite straightforward. "He pretty much tells everybody what our philosophy is, but not everyone has the discipline to actually live out that philosophy," Jones says. "The secret of Nick Saban is, there is no secret." Yesterday I posted on some great points from Lawrence Frank in terms of how to coach your best player. It is incredibly important that you not only properly manage your best player, but that you also know to how to challenge and grow that player. The problem sometimes with being the best player is that you can practice and work down to the level of competition. One of the most telling thoughts I've heard came from Coach Don Meyer who said "If your best player is your hardest worker, you've got a chance to be a good team." I've witnessed this first hand and it's held true every time -- including when our best player wasn't our hardest worker and our program suffered. This past summer at The Step Up Assistant Coaching Symposium, my topic was "Developing Game Changers." It's similar in that this player is obviously your best player but also has the potential to alter the success of your team because of immense talent and intangibles. I've been blessed to have coached a few in my career including Shaquille O'Neal, Seimone Augustus, Temeka Johnson, Sylvia Fowles and Kelsey Bone. An individual that elevates the level of the culture within a program through her talents, work ethic, and attitude. Elevated level of teaching: Often times when working with players that have special gifts you have to work yourself to look at better ways to teach, or to teach more advance methods that you have never had to before. One such example for me was coaching Sylvia Fowles. She quickly caught on to our basic post play concepts and mastered them. I went and spend a couple of days with Jim Foster, then at Ohio State and with Don Meyer to talk about drills and techniques. The irony is that in taking Syl to another level, I actually grew as a coach and improved myself. But don’t skip basics/fundamentals: Just because a player is gifted and skilled doesn't mean you pass up on the fundamentals. It also doesn't mean that you don't revisit the most basic of fundamentals from time to time. I am reminded of a time that I heard Jon Gruden speak and he said it always bothered him when he heard a coach after a loss say, "We've got to get back to the fundamentals." Gruden's reply was "why did you get away from them to begin with. Advance skill level in timely fashion — have a plan: With the program changers I was blessed to coach, I spent additional time mapping out a plan for their growth. This included everything from motivation on but certainly their skill development. You don't just come out and throw something at them. Have a progression in what you give them. Sometimes it may be the same drill but with different parameters. Maybe if you are working on the Mikan Drill you give them a set of makes in a certain time to add quickness and pressure to the equation...after that, maybe we only count clean lay-ups (ones that don't touch the rim), etc. John Maxwell on Tiger Woods: He became great by continually working on his strengths. This is very important. In working with Seimone, she was obviously a deadly mid-range jump shooter. We spend a great deal of time working on her ability to cut and to read and later on her screening. But we never failed to continue to work on her shooting. When someone is good at something, it's not a green light to move on to something else and forget about their strengths. Strength & Conditioning: Just because an individual is a supreme athlete or gifted in their skill set does not mean they don't have to max out in the weight room or with their conditioning. In fact, the true game changers know that these two areas are critical for them to compete at their highest level. Work Ethic: This is something else the game change can control but will often need help from you as a coach. Most game changers are the way they are because they do have insatiable work ethic. However, sometimes their work ethic can gear down to the level of a team that may work hard, but not at an extraordinary level. As a coach, you hope that the team works to the level of it's hardest worker but that's not always the case. In fact, one of the most vital aspects of coaching a true game changer is finding a way to constantly challenge him/her in all areas from practice, games, strength training etc. It's like the kid that runs the mile out in front of the rest of the pack. Sometimes it is hard for them to max out because there is no one there to push them. The truly great ones know how to push themselves. Attitude — Coachability: This is something else that a game changer must understand that they can control. Two players that can't have a bad day are their coach and your leader -- and truly great game changers are leaders. If your best players show great attitude and toughness, than it will filter down to the rest of the team and they must know that their impact on the team is one of the things that make them a game changer. Goal is to elevate the “team” not the “individual": This is important! Despite the challenges of making the game changer better, it can never be about just that individual. It has to center around how it will grow your team and program. The game changer MUST know this, and your team MUST know this. Communication on the part of the coach will be vital. Also, your game changer must be able to take coaching and understand that he/or she must work and live at a higher standard than the rest -- or than they just become a very good player as opposed to a great one. Roles — must be specific — each player has a part: First, let me say this about roles. EVERY PLAYER has a role -- including your game changer. Seimone Augustus' role for us was to score. That sounds fun but it was a lot of hard work for her. She was constantly going through a barrage of screens to shake the opponent's best defender. Some teams would be physical against her. It's pressure to score night in and night out. But that was her role. Now within the roles of the other players, attach their role to the success of the game changer so they can fill a sense of achievement as well. Again we will go back to Seimone. We ran motion offense and that meant we needed good and constant screening. We kept a chart on screening. A "Successful Screen" meant sprinting to screen and setting it a good angle. A "Screen Lead to Score" mean that your screen lead to a cut that lead to a basket. We always went over this chart with our team. We made a big deal of a good screen that lead to a Seimone basket on video. Seimone herself never failed to credit her screeners to the media. One of our players, Wendlyn Jones, had some business cards made up that read "Wendlyn Jones: Professional Screener." We knew we role acceptance when this happened. Must be able to “blend” — coaching language — framing: This refers to the communication that you have with your team. 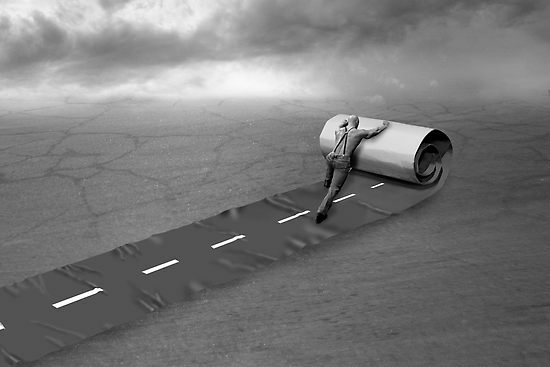 It is important that you are not constantly putting the game changer on an island. You have to blend everything together so the team can see how all benefits. Important to develop the team as well: Don't get caught up in working so hard to develop your game changer that you forget about the rest of the team. I worked hard with our special players but I worked equally hard with the rest of the team. In fact, their growth was every bit as important as that game changers if our team was to reach our goals. Might not be “the” leader but must be “a” leader: It is important that the game changer know that she always is one of the leaders of the team. 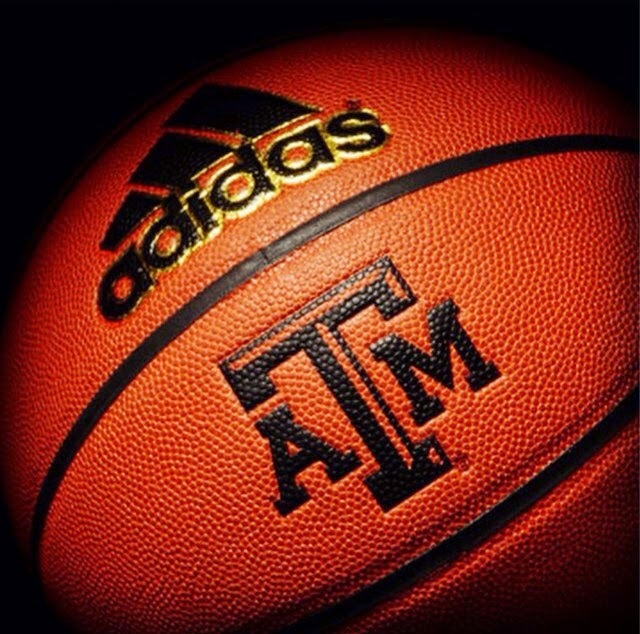 At Texas A&M last year, our point guard Adrienne Pratcher was one of our captains. We made our game changer, Kelsey Bone one as well. It was not a role that she cherished at first. It is over difficult for post players to be captains because the majority of their career that role tends to fall on the lap of a point guard. To help Kelsey, we had weekly meetings on leadership. I gave her a book "Go For Gold" by John Maxwell which had daily passaged for her to read. Once a week she had to tell me which passage impacted her the most, why and how she can use that within the team. She also had to have one leadership question for me. And I critiqued her week giving her one example of good leadership and one instance when it could have been better. Often you have to coach more than just shooting, dribbling and passing. In leadership, nothing is more important than your example: This is even more true with your game changer because ALL eyes are upon them. They most know that their leadership is most important when coaches aren't around -- in the locker room, the dorm, the mall, etc. Needs to be accessible to her teammates: This can also be difficult because so many people will tug for the time of your game changer. But as a leader, accessibility is critical. One of my favorite stories is of Temeka Johnson who would take the freshman class to dinner the night before our first team practice and talk to them about what will be expected. She'd pick up the tab and give them some sage advice. I never knew this until after Meek had graduated. We didn't tell her to do this, she just did it. Does what you do compliment her special talents? Nothing can be more frustrating than seeing a player with special skills not being utilized to their fullest. This is certainly not to say that you should change everything you do just to max out a special player. But you should have flexibility within your system that allows her to excel. How do you get her touches/get her involved? The more special the player the more difficult in can be to get him/her touches -- especially in key moments. You need to have a game plan. At LSU, we ran motion. If we called "33" (Seimone's number) it mean that she had to have two touches before anyone else could shoot (unless we got a lay-up). It send a message to Mone that she had to work hard to get open, that our player with the ball had to be aware of where she was cutting and the other three player better be screening for her. We did the same with Sylvia Fowles calling out "34" -- meaning she needed two touches - with at least one of them being in the low post. 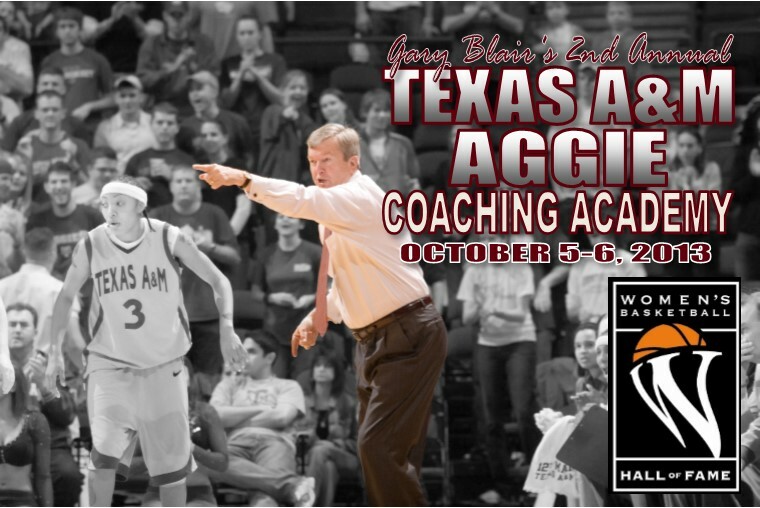 At A&M, Gary Blair is as good as it gets in set plays. We have over 50 players and they all have elements designed for specific situations -- including getting the ball to Kelsey Bone when we needed to get her involved. At Coaching U Live this past summer, I learned that most NBA teams have about 5 set plays that they save for the last two minutes of a game. How will get the ball to your game changer when you have to. Is your team prepared to play without her? This is a big one -- there can be injuries, foul trouble or she made need a rest. Often times, a team can get addicted to a game changer. You must take time at practice to work with her sitting out. It will help your team learn to play with out here while giving her a chance to rest. Another thing we did at practice was say we had Seimone in but we said while on offense, Seimone is the only one who can't shoot. We did this to prepare for outstanding defenses that might take her away from time to time. It made Seimone into a better screener and help our other players learn to score. Coach her to deal with media: If they are a game changer, they will be smothered! Again, this is another area where you coach your players beyond the fundamentals on the court. Prepare them for tough questions. Constantly talk to them about what to expect. If you can, bring in an expert to help them. Everything from body language to tone needs to be addressed. Changing the game can come from areas off the court as well. Coach her to handle social media: This one has certainly magnified over recent years. They again need to be coached in this area. We actually have a seminar for our team along with package of guidelines. Our approach is that social media is an amazing opportunity for to create and grow your brand. We would talk to our players about having a plan, a strategy in their approach to social media. We also as coaches, had to be diligent in keeping an eye on them in this area. Formal and informal conversations: This is very important with each individual member of your team, but even more so with a game changer. It's important that as a coach that you make the conversation happen -- don't wait for them to come around. They need to know what you know and what you see. How can you keep her motivated/challenged: Game changers are often wired differently than anyone else. They are highly motivated. But even they can become stale. I love the story of Doug Collins who would close out practice with the Bulls by playing a game to 11 baskets. Michael Jordan's team would get up by say the score of 8 to 3 and Collins would often stop and switch Jordan to the other team. It would piss him but it would be amazing the number of times Jordan would lead his "new" team to a come from behind victory. This past season I took the time with Kelsey Bone to have her examine her "why" -- her long-term motivation for what she does. We had her write it out and create some physical reminders around her apartment and locker room. I could also ask her during a lull in practice "What's you why?" She didn't need to answer -- it was just a reminder. Understand their load — allow them to vent — LISTEN: This can come during those formal and informal conversations. Game changes often feel a tremendous sense of responsibility for the success/failure of their team. You need to lessen that -- let them know they are not alone. Physical & Mental — lesson the load when necessary: This is last but certainly not least. Great coaches know how to keep their game changers fresh. We mentioned earlier at practice having them sit out a bit and work on learning to play without them. But also lesson the mental load. Every one will request your special player to come for the community service project or a media function. As a coach, you must occasionally play the role of the "bad guy" and say "Sorry, Kelsey has study hall tonight so we are going to send Kristi and Adrienne, they will do a great job for you." It also tells your game changer that you care about them beyond the court. In closing, my wish that everyone would get one opportunity to coach a truly special player. Understand that it will add to your work load -- if you do it right -- but it will stretch you as a coach and make you better. We men so often define ourselves by what we do, who we know, or what we own. When we do this we set ourselves up for anxiety, depression, confusion, and failure in our personal lives. Christopher Lasch, author of The Culture of Narcissism said, “Men would rather be envied for their material success than respected for their character.” We are what we are in the eyes of God, nothing more or nothing less and should let God determine our worth. This past summer I spoke at A Step Up Assistant Coaching Symposium and my topic was "Coaching the Special Player." If you are lucky enough in your career you will have the special player that can elevate your program. But you should know that you must stretch yourself as a coach. If you haven't had the special player you may think it a luxury but it is in affect a great responsibility for you as a coach. If your best player is not driven by competition and achievement, you are probably going to have a bad team. Best player must embody what you are about. We put signs up defining our culture, our belief system, and what we’re about. 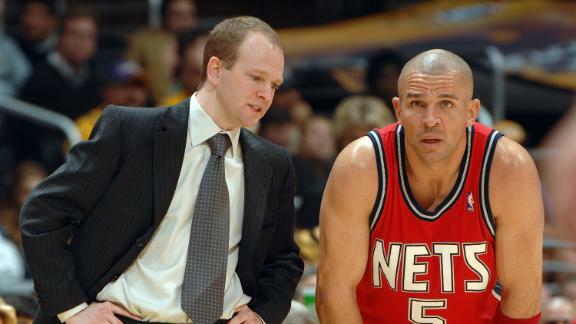 Your best player has to buy into your system; otherwise you’re going to get fired. Don’t necessarily need to like each other, but you must create mutual respect because you need each other. Get other great players to talk to this player – they will listen to their peers. Kevin Garnett, Jason Kidd, Chauncey Billups are culture changers. Show them tape of what they are doing: compare this to what other top players are doing. Bring in outside resources e.g. motivational speakers. You can’t make players like you as a coach, sometimes you just have to appreciate guys for who they are. Rank players based on who is going to help you win games. If you are under-talented, you have to do something to be different. You can’t beat more talented teams by running the same stuff they do.